We will do this with exercises, brainstorming, feedback and coaching. By spending the time to focus on what you want, and what you're willing to do to get it. Learn How to Keep Clients Coming Back! Keeping your current customers is more profitable than finding new clients. Duh! But how to do that, when they have so many other ways to spend their money? 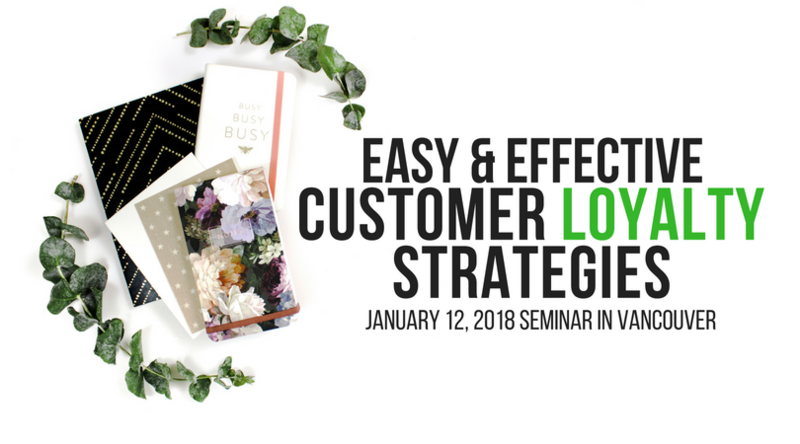 Join your coach and your colleagues for the Easy & Effective Customer Loyalty Strategies seminar at the DIY office on Friday, January 12 at 12 PM. No charge for pass-holders; $20 for DIY members. DIY Weekly Member Update · January 8, 2018 · #366 © 2018 Veronika Noize. All rights reserved.